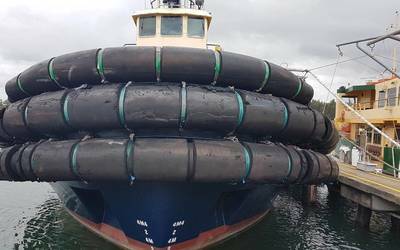 Plucked from the headlines, the top stories of 2017 were compelling, and each provided impact to the domestic waterfront and in particular – the workboat sector. Follow along as Marine News recaps the highlights, drama and significant events that shaped the past 12 months. 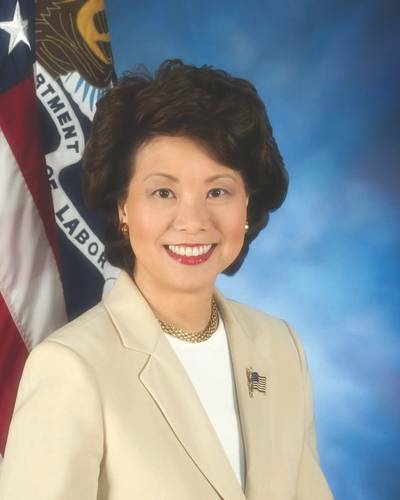 When Elaine Chao was sworn in to be the U.S. Secretary of Transportation, the Washington veteran brought a welcome burst of competence to the position. Her wide-ranging experience across the maritime sector and prior service at the U.S. Department of Transportation, Maritime Administration, and the Federal Maritime Commission uniquely positions her to understand the critical role that the waterfront plays in the intermodal equation. Soon after taking her chair, she was joined by another familiar face at Marad. 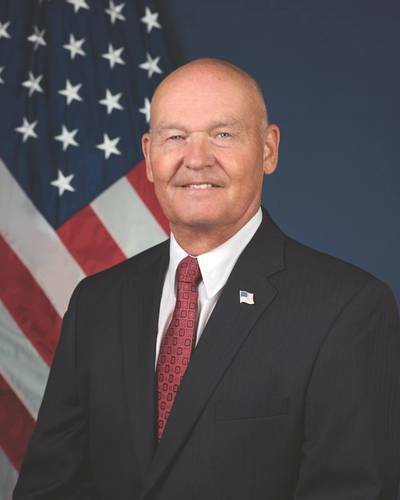 Rear Adm. Mark H. Buzby, USN, Ret. was next sworn in as the Administrator of the U.S. Maritime Administration. A career naval officer with over 34 years of service, Buzby also served as the Commander of the Military Sealift Command (MSC). A 1979 graduate of the U.S. Merchant Marine Academy, Buzby earned his Bachelor of Science in Nautical Science and U.S. Coast Guard Third Mate License. On paper, he is arguably the most qualified person confirmed for the position in recent memory. Together with DOT Secretary Chao, the duo forms the basis of the best one-two punch that the domestic waterfront has seen in some time inside the beltway. The late year infrastructure failure(s) at Lock 52 near Brookport, Illinois was unquestionably one of the biggest stories of the year for the domestic waterfront. Arguably, no other issue is more important to inland commerce than the poor condition of inland infrastructure, locks and dams. At one point in the crisis, average delays of 65+ hours were being experienced by a queue 58 vessels and 658 barges waiting their turn. Originally, Hurricane Nate created rising river levels and its closure, but Lock and Dam 52 was also closed for almost nine days in September due to an unscheduled maintenance issue. The unscheduled closure created a massive headache for farmers and shippers alike, as they tried to move newly harvested soybeans from Midwest farms to export terminals along the Gulf Coast. 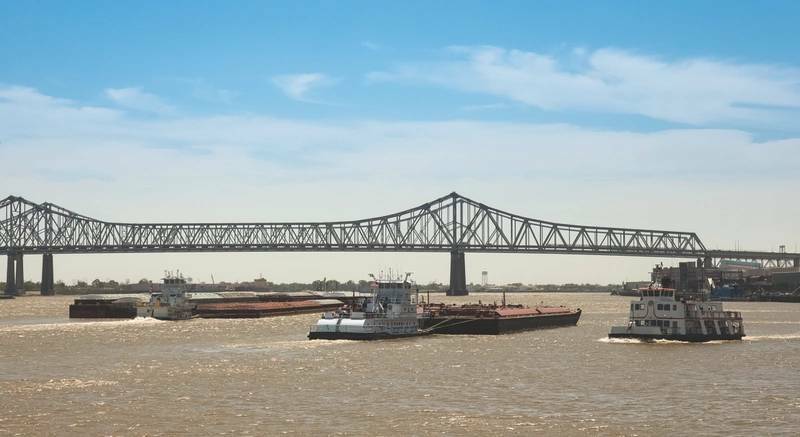 The Mississippi River and its tributaries are the lynchpin for transporting grain to export markets with as much as 60 percent of all U.S. agriculture exports departing the nation’s heartland via Gulf Coast gateways. A robust crop of corn and soybeans increased export commitments, and as barges and towboats waited to pass, there was nowhere to store the grain and even less choices on the river. The closures bring to the full spotlight the critical, but aging, lock and dam infrastructure on the inland waterways system. And, while it is tempting to characterize this event as an isolated, one-time anomaly, the truth of the matter is that the entire inland lock and dam system – the vast majority of it in any event – is more than 50 years old. You can bet that farmers in Brazil and Argentina are watching with interest what plays out on U.S. Rivers. But, don’t worry: if we have a catastrophic, long lasting casualty on one or more of our major river arteries, the rest of the world won’t go hungry. Argentina and Brazil will gladly feed them. We often talk about what could happen if we don’t take care of these river assets. Now, we know. It turns out that the maritime industry – the one which moves 95 percent of what you use on a daily basis? – is bad for the environment. In response, the ports of Los Angeles and Long Beach (prodded by the politically driven, so-called California Clean Air Action Plan), above and beyond the remarkable progress they have already made to date, now seek to achieve and accelerate to 100 percent zero-emissions cargo handling equipment by 2030. Separately, an industry study, commissioned by the Pacific Merchant Shipping Association (PMSA), puts the cost of achieving this lofty goal at about $16 billion locally, not including infrastructure costs outside the marine terminal gates. Like safety, you can’t put a price on saving the environment. One lesson or ‘take-away’ is that environmental efforts are hard. Sometimes they are expensive and sometimes, people don’t look at the big picture as they push an agenda that a captive audience can scarcely afford, with long term benefits – and impacts – that are at best, uncertain. This was one of those times. Operators, ports and terminals everywhere all hope that ‘green’ produces another kind of ‘green.’ That doesn’t always happen. What will be the impact of the West Coast Clean Air Action Plan (CAAP)? What if other regional ports don’t follow suit? In their well-intentioned haste to clean up the environment, CAAP proponents concentrate chiefly on the ports when far greater gains can be had by improving highways, rail intermodal connections, inland locks and dams. Hence, laying the lion’s share of cost on the maritime sector – ports and vessels alike – to clean up something that has already been improved by leaps and bounds is not only unfair; it’s also foolish. Someday, it might just take down the supply chain along the way. Horizon Shipbuilding in September announced that it would reorganize amid revenues insufficient for maintaining normal operations. The yard had, up until that point and by all outward appearance, been sailing along, incredibly busy and engaged in more than one series-build contract. In September, that all came crashing down in an announcement that few saw coming in advance. Horizon now looks to an uncertain future. The announcement comes closely on the heels of what was a largely well-perceived execution of an aggressive building contract for Hornblower, as well as several other recent deliveries. Beyond this, the yard was also lauded for the development of its proprietary, in-house software program that was specifically designed to create efficiencies and economy-of-scale for shipbuilders and other manufacturers. All of that, apparently, wasn’t enough to ward off September’s announcement. According to Reuters reporting of EIA numbers, the United States will account for a whopping 80 percent of the world’s output growth over the next 10 years. Closer to home, U.S. oil production hit a record 9.65 million bpd in November. This is a ‘good news, bad news’ story for U.S. offshore maritime assets. That’s because whenever the price of crude oil rebounds sufficiently to give the ailing OSV sector a glimmer of hope, land-based shale producers simply open the tap. On the other hand, not all of that oil can come from the hinterland, and if EIA projections are correct, the U.S. outer continental shelf will soon play an enhanced role. The decision to open up U.S. crude oil for export has had a dramatic impact on the U.S. trade deficit, and the new normal has shaken up traditional supply and demand models. Today, domestic output has risen by as much as 15 percent since its mid-2016 low. Beyond this, global energy markets have been shored up by bullish hedge funds that have increased their long positions based on a perceived future tightening of worldwide supplies. Both OPEC and non-OPEC exporters agreed one year ago to cut crude output substantially to bolster prices. That’s been a partial success and as yearend approaches, that same coalition is signaling that they are likely to continue that policy. Both inland and offshore energy transportation and support operators hope that this will signal a rebound in fortunes for both sectors. In January, the Customs and Border Patrol (CPB) proposed changes to reverse then-current practices that allow non-U.S. based vessels to transport cargo between U.S. ports. The proposal ignited a fierce lobbying effort on both sides of the equation, one which was (for the time being) won by foreign flag interests. That’s because, in May, CPB backpedaled; writing that based on “substantive comments” received “we conclude that the Agency’s notice of proposed modification and revocation of the various ruling letters relating to the Jones Act should be reconsidered.” That’s where the matter stands today. It would be an understatement to say that, during 2017, attacks on all aspects of the Jones Act – most recently from U.S. 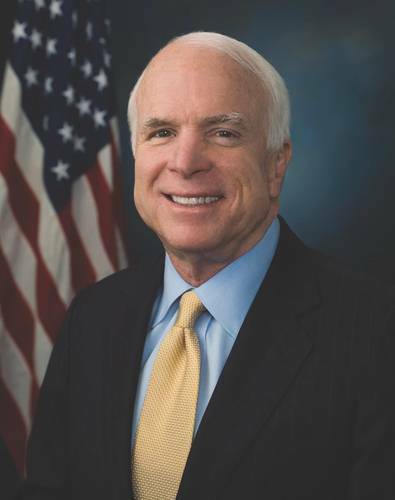 Senator John McCain, who plumbed new lows in leveraging a humanitarian crisis in Puerto Rico – have become more numerous and robust in their application. The latest assault comes in the choppy wake of Hurricane Maria, a powerful storm that walloped the island commonwealth earlier this year. Jones Act opponents insist that the Jones Act is solely responsible for the slow and painful recovery now underway there and for the general state of Puerto Rico’s insolvent economy in the first place. These folks ‘never let a good crisis go to waste.’ As this edition went to press, there were no less than four different legislative efforts being thrown around on the Hill to roll back some or all parts of the Jones Act. Suffice it to say that this year was one of the most active in recent history when it comes to protecting U.S. cabotage laws. In 2017, the most active hurricane season in recent memory wreaked considerable havoc in this hemisphere. Puerto Rico, Texas and Florida all took substantial hits and if anyone previously doubted the value of being able to call up Marad controlled training vessels to support recovery efforts, then what happened in Houston and Puerto Rico should have changed their minds. But, those state maritime academy (SMA) training ships are getting long in the tooth and there are, for the first time ever, no reserve assets left to replace them. Two crises loom large in the porthole. First, as these aging vessels – some approaching 50 years in service – fail, the immediate problem to be faced is how and on what platforms the mariners of the future will be trained. Second – and no less important – these vessels perform myriad (critical national security) functions beyond their most visible training missions. As Marad wrestles with what to do next, all options are on the table. A fit-for-purpose, series build replacement fleet of training vessels is being designed and contemplated, but that cost could exceed $1 billion for five vessels at a time when a single desperately needed icebreaker hasn’t yet been funded. Without ships, most SMA kids can’t get the sea time necessary to earn a license. The purchase of existing asset(s) at a time of market over-capacity is also being tossed around. In the U.S. Gulf, the specter of Chapter 11 filings and the sobering reality of vessel after vessel rolling off the shipyard ways and directly into cold iron layup, tells a grim story. Earlier this year, VesselsValue (VV) shed some light on the real numbers. For example, and when comparing the 50 offshore vessels ordered in H1 2015 against the absence of any offshore orders placed during H1 2017, the situation in the offshore oil patch becomes only too obvious. Indeed, VesselsValue reported that about 28 percent of this global fleet is currently in layup. PSVs – or Petroleum Supply Vessels – top the list with 36 percent of their fleet currently laid up. The VesselsValue offshore database includes Offshore Support Vessels (PSV, AHTS, AHT, FSV, Ocean Going Tugs and ERRVs), Offshore Construction Vessels (Pipe layer, Cable Layer, Well Intervention, Dive Support Vessels, MPSV, Floatel, Accommodation Ship, Crane, Lift Boats, SOV, and Utility Vessels) and Mobile Offshore Drilling Units (Drillship, Semi submersible, Jack Ups). It is the massive lay-up and not so much the price of oil that could spell further misery for this sector. That’s because rates will likely remain depressed for an extended period of time due to vessel reactivation. As rates recover, more vessels will be reactivated, which will, in turn force rates back down due to oversupply. Finally, we broke out the U.S. flag offshore fleet from the pack. According to VesselsValue, as many as 450 (40 percent) U.S. offshore support vessels were laid up in September. Hence, this story is probably the most important, albeit unhappy story, of the past 12 months. 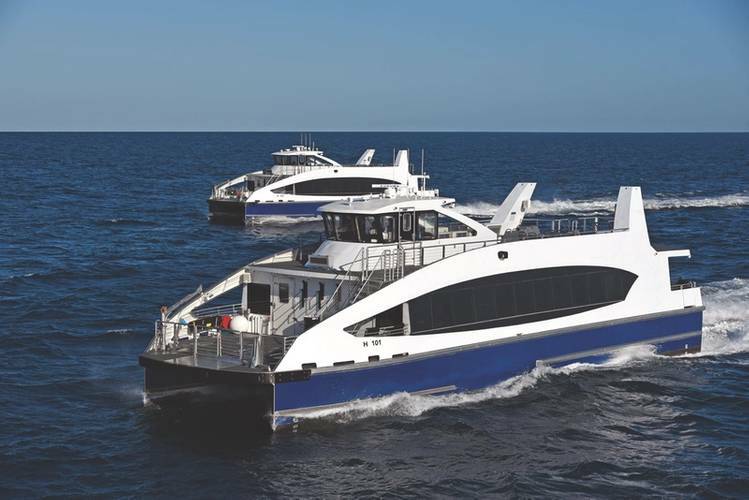 A Hornblower contract won by two Gulf Coast yards to produce as many as 19 aluminum ferries for New York City’s Economic Development Corporation was one of the biggest shipyard deals of the year, but it also highlighted the boom in domestic ferry newbuilds across the continent. For its part, Metal Shark was contracted to build four 88’ 150-passenger vessels for the Potomac Riverboat Company division of Entertainment Cruises. The first two are in production now at Franklin. Also in January, Metal Shark was hired to build two 105’ 150-passenger ferries for the New Orleans Regional Transit Authority for delivery next year. And, they’ve since won other ferry contracts, as well. Myriad U.S. yards have won and performed similar work. Put simply, the ferry and passenger vessel segment provided a much needed bright spot for domestic builders during 2017. Sub-M is the shorthand phrase referencing Subchapter M of the Code of Federal Regulations (CFR) dealing with towing vessels; more specifically, inspection, standards and safety management. The final rule was issued in July of 2016. The impact of that edict is now hitting home for most of the 5,000+ vessels in this sector that were, until now, uninspected vessels. Existing vessels need to meet most requirements by July, 2018. New vessels (keel laid/major conversion after July 20, 2017) must meet all requirements and obtain a certificate of inspection before entering service. Sub M stems from legislation passed in 2004. The maritime community was active during regulatory development and most operators are moving toward compliance. For some – in particular those involved with the AWO’s Responsible Carrier Program (RCP) – the new rule won’t be a problem. However, concerns remain about actually implementing Sub M’s demands, especially for the smaller, so-called Mom-and-Pop operators. Smaller operators could struggle, cutting corners or, worse, going out of business.